You might think that if you don’t have any mercury amalgam “silver” fillings in your mouth, the dental mercury issue doesn’t really affect you. But if you breathe air, drink water, or eat food, you are indeed affected. That’s because dentistry is one of the biggest sources of mercury pollution in our environment. Some mercury, of course, is naturally present in the environment. It occurs in many minerals and is naturally released during volcanic eruptions and soil erosion. However, in recent centuries, the amount of mercury in the environment has increased dramatically due to human activities. It’s used in many different industrial processes. In addition to dental amalgam, it is also present in medical devices, medicinal products – even some cosmetics. Although the global mercury treaty known as the Minamata Convention means that industrial uses will be phased out, the threat of mercury pollution from dental sources will persist for many years – so long as anyone has mercury fillings. There are a number of ways dental mercury can get into the environment, such as through wastewater when amalgams are placed, cleaned, or removed. If an amalgam separator isn’t used, any mercury suctioned out will enter the septic system and make its way to water treatment facilities. After treatment, if the resulting sludge is incinerated, mercury is introduced to the atmosphere. If it’s used as fertilizer, it can contaminate the soil. Patients with amalgam fillings excrete over ten times more mercury in their feces than those without mercury fillings. The IAOMT has estimated that in the U.S. alone, this amounts to over 8 tons of mercury flushed out to sewers, streams, and lakes per year. Cremation and burial provide other routes to the environment. Cremation of bodies with mercury fillings adds more than three tons of mercury to the environment every year. Burial means the mercury will eventually enter the soil. Once mercury is released into the air, soil, or water, it can remain in the environment for centuries, adversely affecting life. 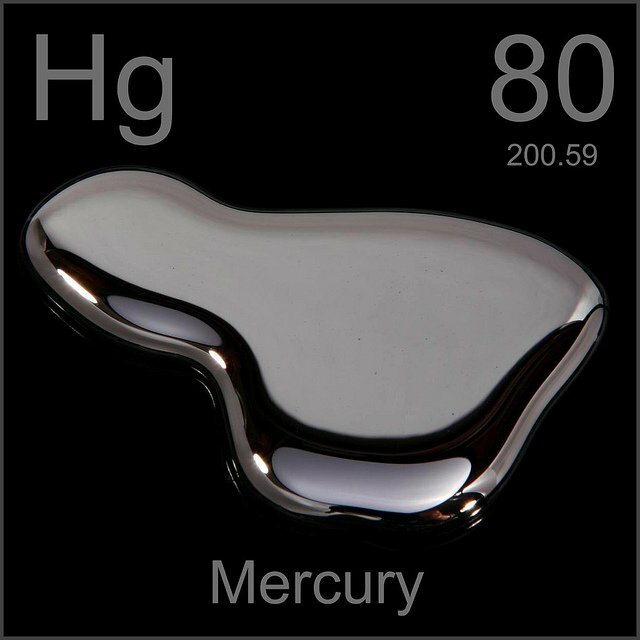 sulfate-reducing bacteria transform mercury into methylmercury (MeHg), a persistent, bioavailable, and bioaccumulative neurotoxin that, even in minute quantities poses risks to human health. Once in lakes or other bodies of water, the mercury is taken up by aquatic plants. These are consumed by small fish who, in turn, are consumed by the larger fish which we then eat. This process of bioaccumulation means that the mercury becomes concentrated and levels increase as it moves up the food chain…. The main source of human exposure to methylmercury is through the consumption of contaminated fish and seafood. Tuna, swordfish, pollock, shrimp, and cod are the most contaminated sources…. Because of environmental concerns, the European Union has already begun to phase out amalgam. As of last month, mercury fillings can no longer be placed in kids, pregnant women, and breastfeeding mothers. Given that mercury amalgam fillings are hazardous to both your health and environment, it’s important to choose a dentist who uses alternatives such as composite resin, glass ionomer, or porcelain/ceramic when repairing teeth. These “white” or “tooth-colored” fillings are more attractive, too, looking just like natural teeth – a definite bonus! This week is the annual Mercury-Free Dentistry Week, a joint campaign by Dr. Mercola and Consumers for Dental Choice to promote the promise of mercury-free – and mercury-SAFE – dentistry around the world and here at home. Click here to find out how you can get involved.